I don't think my christmas lights are going to make it onto my house this year. I'm having entirely too much fun with them in the darkness of my room. View the whole series or try the slideshow. Originally uploaded by clickykbd (50 images total). View the whole series or try the slideshow. Ryan, CONGRATULATIONS! Your site, Camera Toss, has won Best Photosite at The Order of Brilliant Bloggers for the month of November! If you follow the link to the post entitled "The Envelope, Please", there is a piece of code at the bottom of the post that you can insert into your sidebar to denote your victory, if you so desire. As well, if you would like to comment, we welcome your participation. Thank you for your wonderful work, and we hope to see and hear more from you, soon! Remember those "Spirographs" from the 1970's? That's what this series of pictures reminds me of. Thank you for the award. I didn't even funnel my traffic to the voting process. I am glad the public enjoys this blog and our photographic imaginations. you are welcome. The spirograph is a common result if you choose the appropriate light source and give your camera axial spin while throwing it. 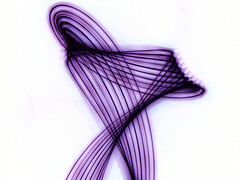 Lovely photos through different angles.Creative images with purple color have increased the beauty of image.